Hi lovelies! 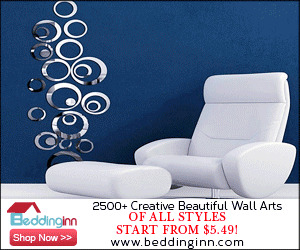 For a long time now, I've had a black, white and pink theme in my bedroom, with pink walls and one statement Marilyn Monroe wallpapered wall, white furniture and black and white bedding. However, I've been thinking a lot lately about how I'll decorate when I move out of my parents house. 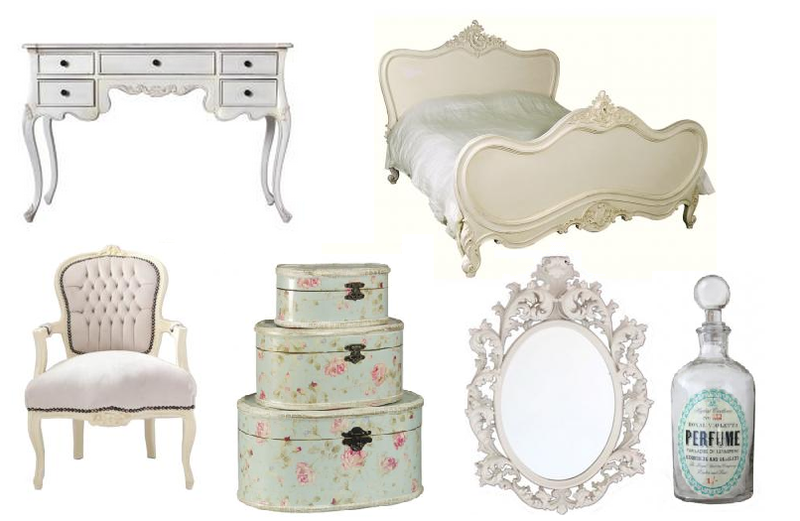 I absolutely adore white furniture and the vintage, parisian feel of all of the pieces you see above. I'm dreaming of fresh white walls, wooden flooring and a big, beautiful dressing table, a girl can dream! A little while ago I was contacted by a company called Out There Interiors (this is actually where all the stuff from my little wishlist came from, click here to check it out!) and asked if I'd like to review a product. After having a little browse through their site, I said a definite yes and went for the gorgeous cream faux fur throw you can see below. I loved all of the options on the site, with many of the above pictures being some of my absolute favourites, but a thick, furry throw is something I'd wanted for a long time so it seemed like the perfect opportunity! The throw is fantastic quality, super thick, super soft and absolute huge, so perfect for snuggling up on the sofa in the evening! I actually decided to keep it on the sofa for this reason, as I absolute love how it looks with the cushions and I get really cold at night, so this feels so luxurious to cosy up with! I've also taken pictures of this on my Mums bed, as it looked fab with the colour scheme in her bedroom, she actually wanted to keep it herself! What do you think? What would be in your dream bedroom? Love love love home wear. That bed is to die for!!!! Hi These are just the prettiest choices. I have a similar train case that I've had for years. Thanks!